As biotechnology processes evolve, so too does demand for protocols capable of delivering rich data at high speeds. 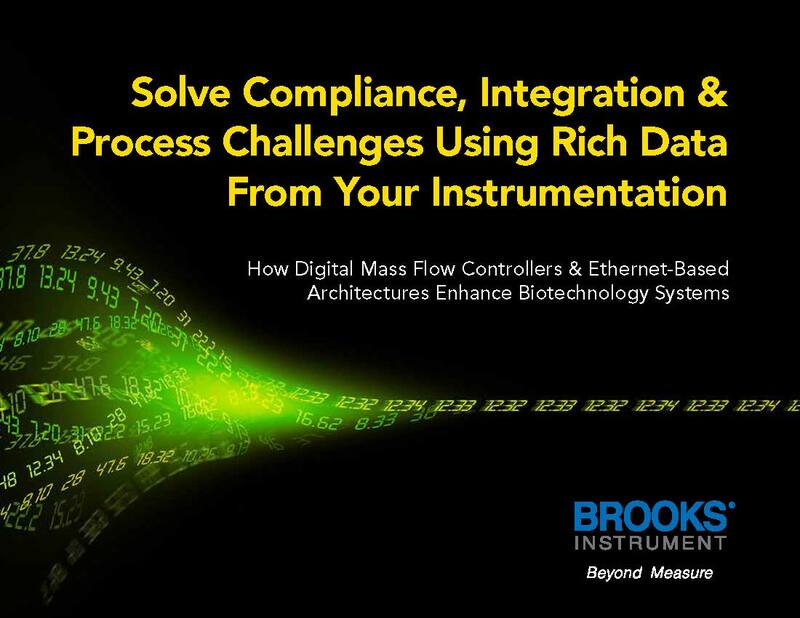 This new eBook by Brooks Instrument offers clear insight on digital communications devices, such as mass flow controllers (MFCs), equipped for maximum information density in your process system. This biotechnology eBook was created specifically to help biotechnology OEMs and biotechnology end users understand how digital communications bring new capabilities and greater control to their process systems.